Welcome Spring…almost! Almost because yesterday 1st of March the day was rainy and I have to say that my mood was awful. But today the sun is hot again and the day smells like Spring is near! 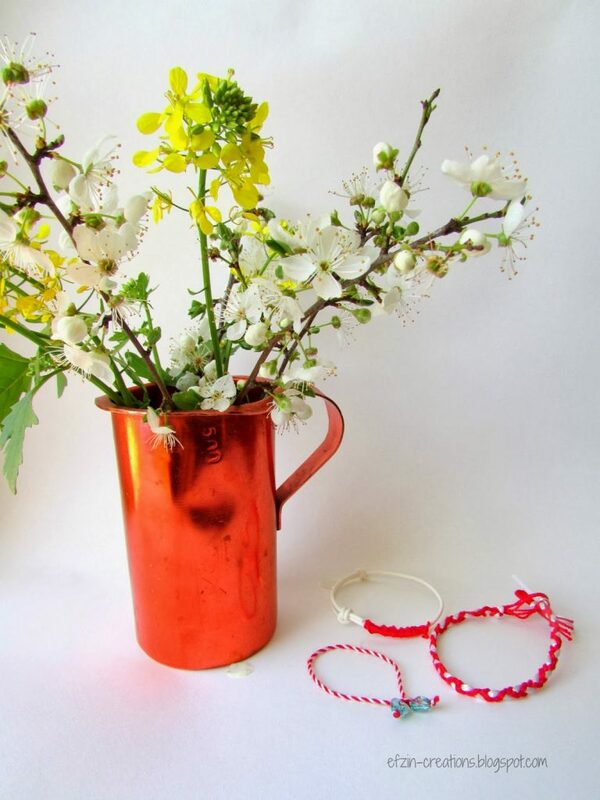 so I prepared for the Spring by crafting “Martis”, the traditional bracelets in red and white for March. it suppose that you wear them in order to protect you from sun! Yes I know this is not true, but anyway I love this tradition and I was a great fun of it as a kid. 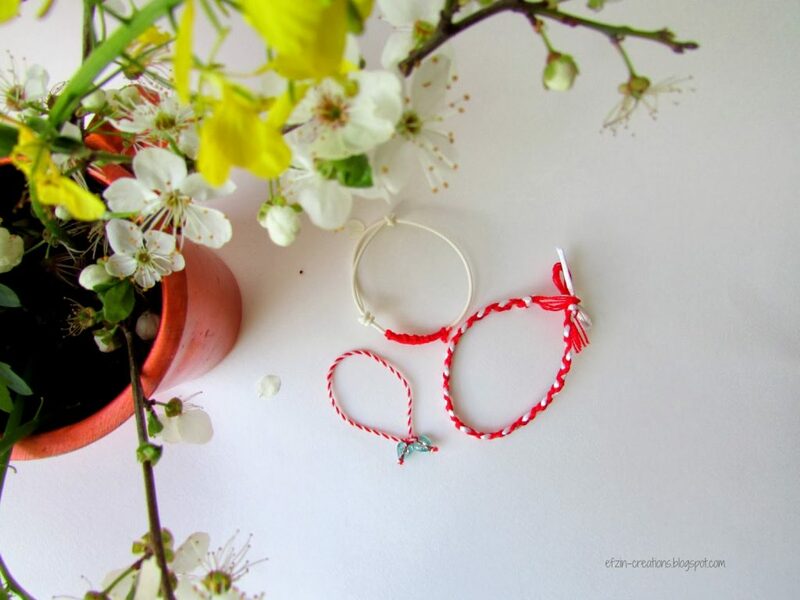 – A bracelet with swirled red and white thread of the same type, while two tiny glass heart beads were perfectly connected on it. 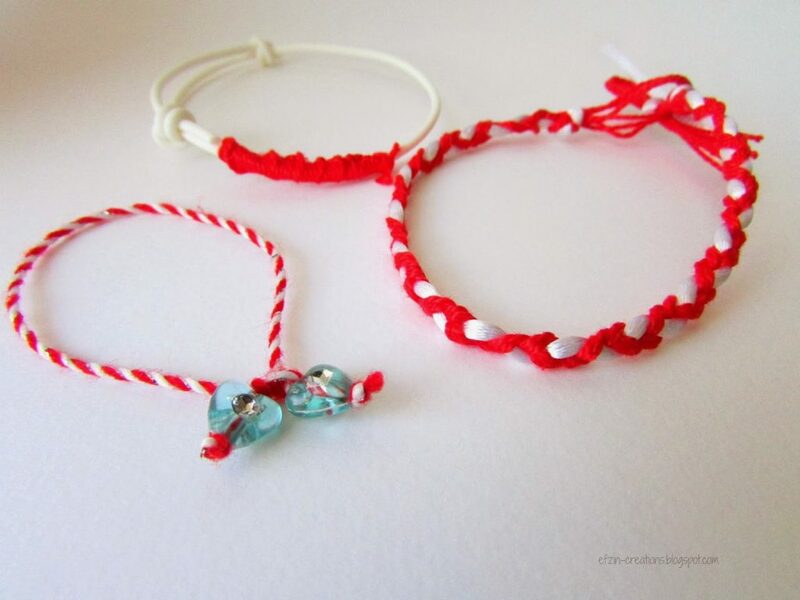 – Another one with red tread and white satin ribbon, combined like the braid. – And the last one with white rubber with a spot of it covered with red thread. All of them are beautiful and easy to crafted by you. So get one for you in case you do not have already. Happy crafting and Happy new month full of smiles!